Infrared oil heater for use in small and medium indoor environments where there is good ventilation. Delivers radiant heat fast and precisely, without any air movement. Has overheat thermostat, tip-over switch, digital error display, electronic flame control, photocell cut off, electronic cooling system, solenoid fuel pump, double fuel filter, and fuel level gauge. Easy to maintain. Suitable for warehouses, workshops and building sites. 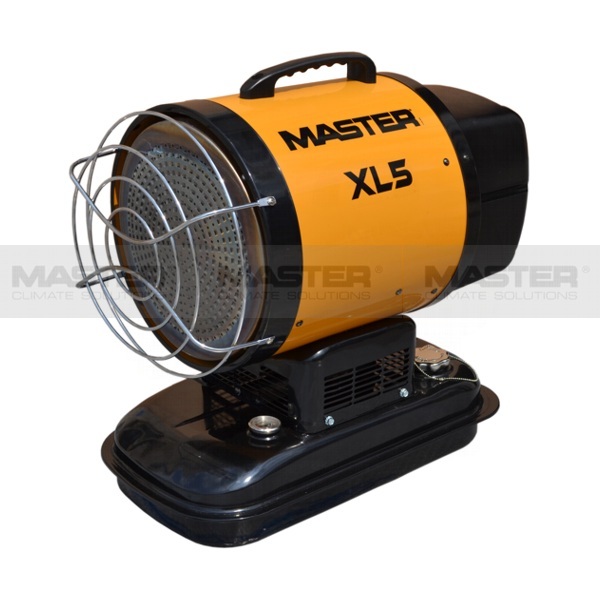 Ideal for dust-free drying of walls or paints, defrosting machinery or pipes, heating work areas.